After a rather disappointing series of experiences trying to communicate with volatile people on religious blogs, I still find that there is one blog that I have time for, and it is the blog set up by Jessica Hof a few years ago. I met Jess on the old Damian Thompson Daily Telegraph “Holy Smoke” blog, which in the end disappointed everyone and only served to advance the career ambitions of the journalist who ran it and eventually got himself a nice little job at the Spectator when the Telegraph was finally decimated by a moronic takeover by business interests with no knowledge of British politics, religion or culture, and fired him. Jessica’s blog is one of the jewels of Christian religious commentary on the Internet, even if it is still a quiet backwater that has still not received the recognition it deserves. The present article is called “Have we made a categorical mistake?” In this very thoughtful piece, Dave Smith looks at the categories of religion, culture, multi-culturism (multi-culturalism as we tend to call it in Europe), and the wider question of what is genuine religion. Here in Europe we have been rocked with the explosion of terrorist threats from Islamic extremism and it would be easy to take the path suggested here into seeing Islam as an external threat to our whole way of life. I have to declare an interest: as a Catholic Christian, I understand the Islamic religion as a heretical deviant travesty of Christianity that developed as a sect among a nomadic people who had seen the enormous benefits of the Judaeo-Christian tradition, and the thriving culture it produced, and tried to co-opt many of the basic ideas. 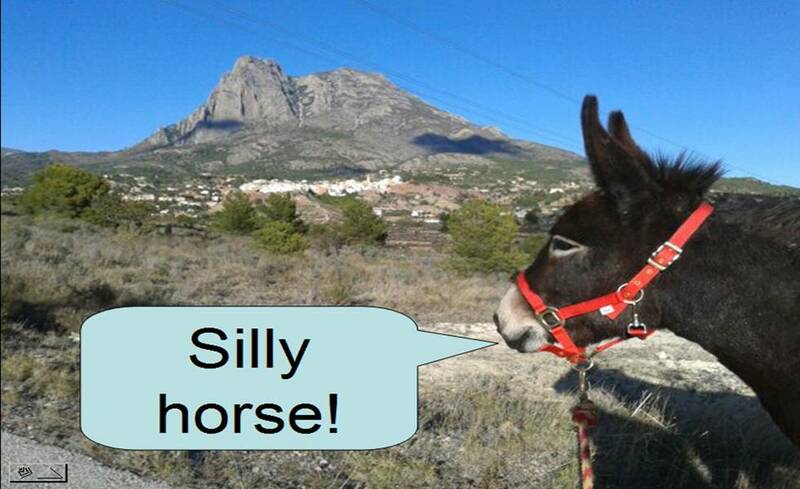 I live in Spain with my four donkeys in the countryside near Finestrat. Three kilometres down the road is Vilajoiosa where there is a traditional Islamic community. Muslims have been part of Spain for hundreds of years and were able to continue their way of life, culture and religion, even after the Reconquest in the 15th century. My ancestors were thrown out in that time. My mother was a Sephardic Jew: one who was descended from that time and via Eastern Europe in the 20th century found herself being born to a poor seamstress in the East End and adopted by a Methodist couple. Life is complicated and our “categories” a little limited in their ability to make sense of the messy but rich human story that emerged from Africa thousands of years ago and populated the world, searching for its purpose and passionate about its discoveries. Catholics, Jews, Muslims: the People of the Book. But we all came from Africa as the genetic discoveries and the migration paths have proven. It is a marvellous story and we have still to understand it. I am a Catholic Christian and when I kneel before my God and Saviour, and see His image in such a place as the Church of the Crucified in Puente la Reina on the Camino de Santiago, I accept no other religion. There is no compromise. But there is a need to live alongside other human beings who have a different view, a religion and a culture that is not the same as mine. I live in Spain. Muslims, Jews and Christians lived alongside each other in cities like Toledo and Cordoba centuries ago, sharing a level of culture we do not even begin to understand today! Mathematics, religion, philosophy… shared across a broad religious divide. We would be the pygmies in any discussion from those long lost days. When I arrived here in my present place of residence five years ago, I went to church. Neither priest nor people spoke a word to me in the first year of my attendance of the Catholic church in Finestrat. When I bought my first two donkeys, I was one day marooned in a parkl in Finestrat: the park of the Font de Carré. My donkeys refused to walk home after sunset. I sat on a bench and waited to spend the night. It was freezing cold. March. Stubborn donks. My phone battery had died so I could not phone a friend. A man arrived bearing blankets, water, some food. He had seen me from his poor home overlooking the park. This was one of the few Muslim residents of the village. Several Catholic residents of the village, people whjo had seen me as a member of their congregation for several months, had passed by while I had sat there. When people use the present crisis of the demonic Daesh threat to point out how Muslims are not like us, I like to remind myself that my Catholic co-religionists are sometimes not like me either. I find the “categories”these days – whether philosophical, religious, or political – worthy of instant scrutiny. I don’t have any answers. Neither do I like any facile answers proposed by others. We just need to keep asking the questions and try to keep our heads. Any connection with “The Good Samaritan” is just co-incidence then ? Dunno, Bryn: that’s much more Rubí donkey’s department. She’s the theologian. A very fine essay! I am a donkey man too but more than that, I am moved by the challenges that we now face in our “modern” societies. Brotherhood is what we could be seeking, not division. Thanks, Bill. Did you find your way here via the Donkey Breed Society? It’s always good to have new readers. A little late in commenting, but better late than never I suppose. Another good piece Gareth and a reminder that we should not be tempted to pigeon-hole people/cultures. There are always surprises to be had (both good and bad) from others. I just love the kindness of strangers – that’s what makes life so special at times.